With no match wins from three outings so far, both the Brisbane Deceptors and the Sydney Roar are in a tight spot if they want to make the finals. They need to win both of the remaining matches to cement themselves a spot, and even that relies on how the other teams go. Both of them making the finals is made harder when you realise they have to play each other before the season ends, making this an almost insurmountable task for at least one of the two. This week of Street Fighter was not without some moments and players of note, even from the Deceptors and the Roar. The boys from across the Tasman showed everyone they are here and they mean business. 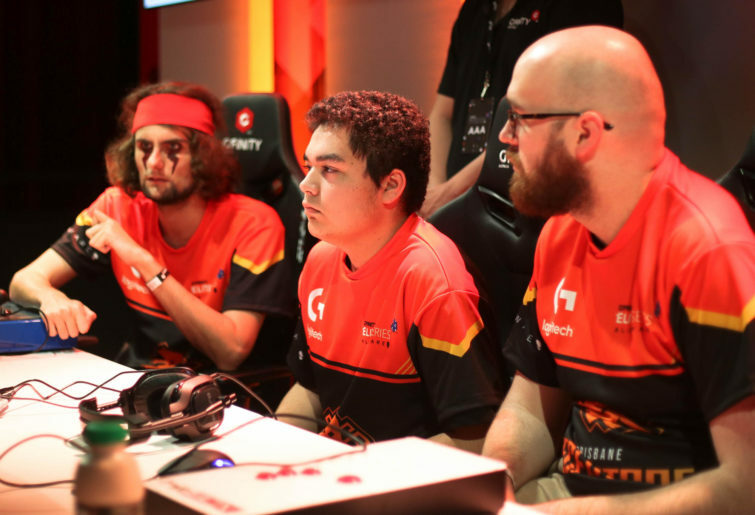 DaBigChoppa for Sydney Chiefs, Ghostchips for Perth Ground Zero and Melbourne Order’s Camzace are out to prove that the New Zealand FGC is not to be underestimated. 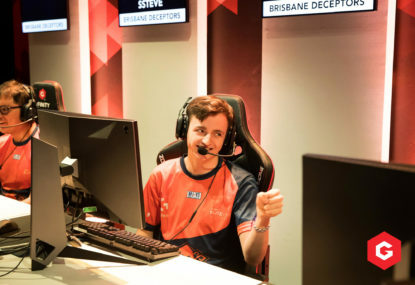 Continuing on from his immaculate performance last week, in which he took down competition heavyweights Rumours and Spaceghost, DaBigChoppa was back in force and helped the Chiefs to a series whitewash over Brisbane. Playing against Ken player Pahnda, Choppa switched from Abigail to Zangief as he felt it was a better match-up for the character. It proved to be the correct choice as the safer anti-airs helped him to overcome Ken’s unpredictability. After being handily dispatched in game one against BKsama, the face of the Deceptor’s, Robbiesla, looked a lot more confident in the rematch game. A solid performance from Robbie took BK to a last-hit situation in which either player could have had the win. It seems that although he is a veteran of the stage, Robbie just needs to keep his calm a bit better in tense situations. If this happens the Deceptors might have a chance of scraping into the finals. The most interesting match for the day, given that it wasn’t a whitewash, was Melbourne Order against Perth Ground Zero. A grand final rematch is always a talking point and this was no different. Order took the set in six games, but not without some worry for the reigning champions. Both teams had made subs to their line-up for the match. 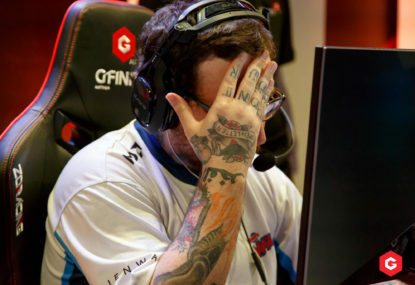 Bug was out for Order and replaced by New Zealand player Camzace, while Perth had subbed Staticz out for their own Trans-Tasman weapon, Ghostchips. Just like DaBigChoppa is doing for Chiefs, Ghostchips and Camzace started doing for their respective teams. Cam started by showing why Menat is such a good character, easily dispatching Syo in their first game and winning the second despite Syo’s improvement between the two. Travis was pinned as the Order member to always win two games. The safe player of the team, his defensive playstyle lends itself to being the solid rock in the centre of the team. This was torn down by Ghostchips. Hailed by some as New Zealand’s best, Chips took down Travis in both their meetings. Methodically picking apart Travis’ defense until he could go on the offense himself with some really neat Bison V-trigger combos. With Travis down, the rest of Order were not playing around. As stated before, Camzace dismantled Syo, but this was nothing compared to what RoF did to Rupps. 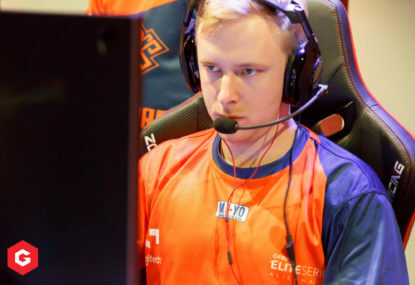 After a shaky start to the season, RoF showed just why he is one of the countries top players with the season two’s first perfect round. 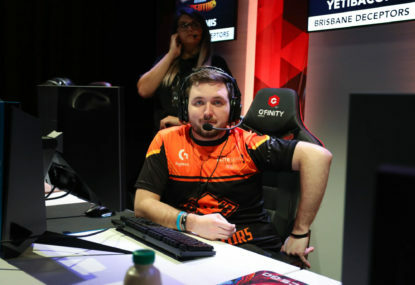 He carried the momentum through to the second game, and although Rupps looked better, there was no stopping RoF as he continued Order’s dominance of the season. 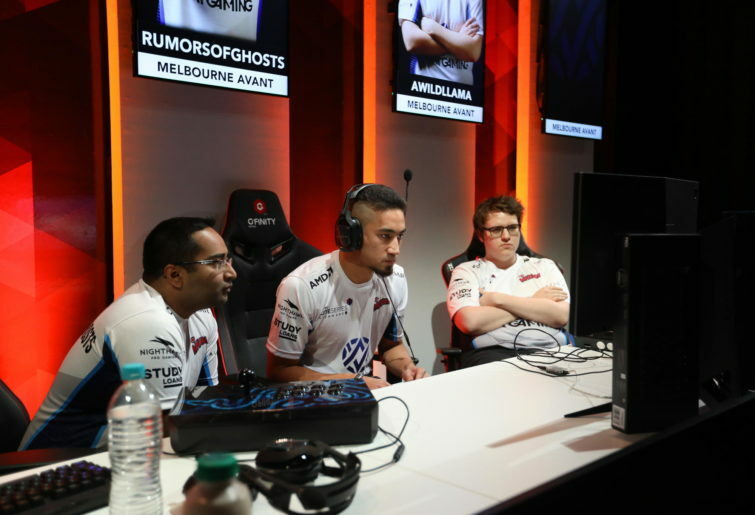 The closer for the day was competition front-runners Melbourne Avant against the struggling Sydney Roar. Avant took the match in four games, three being convincing and the fourth being a surprise for everyone watching. Roar Challenger Series draftee Fangrear found himself up against the terror of last season, RumoursofGhosts and defied everyone’s expectations. The game went down to the wire with Fangrear bouncing back from last weeks losses and showing moments of brilliance. It turned out to be not enough, as Rumours trademark defensive play allowed him to squeeze the victory. The halfway point of a season brings with it a sense of urgency and this is no different for Gfinity. Melbourne have cemented themselves at the top, while the Chiefs are just a smidge behind. Ground Zero are in a limbo at the moment, they are fourth but if the bottom teams get it together they are first on the chopping block. Both Deceptors and Roar are 0-3 and need a miracle to happen if they want to make the finals. Deceptors are my pick of the two to slide in at the last second and with players like M0nt and Robbie, they might just do that. 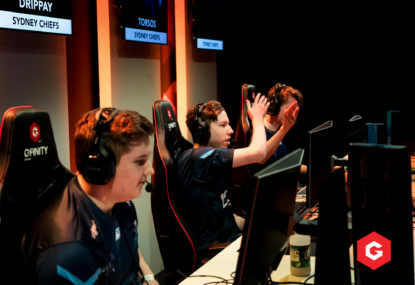 You’ve probably read somewhere over the years that esports is “the next big thing” in the sporting world. For some, gaming isn’t a hobby – it’s a full-time job. 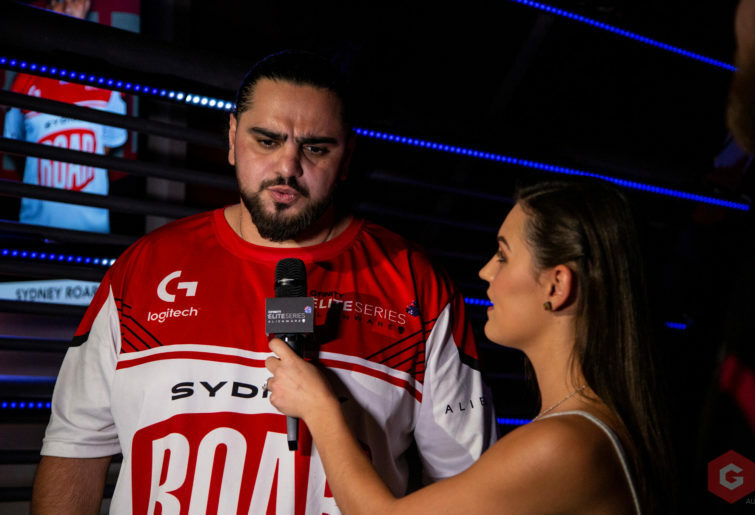 The semifinals for this season of the Rocket League Gfinity Elite Series were upon us this weekend and the results seemed almost entirely up to Sydney. This week’s matches in the Gfinity Elite Series were bookended with upsets which have actually shaken up the roster for the semifinals quite a bit. 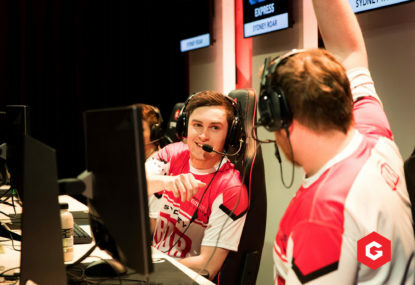 The home-and-away portion of the Gfinity Elite Series’ second season is in the books. 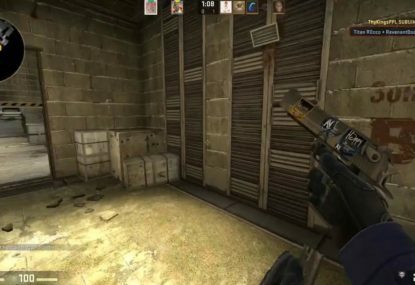 Dominic Wilson – known professionally as Doom – has quickly emerged as one of the most prominent CS:GO players at the Gfinity Elite Series.